Stylish gents acrylic branch gold with grey handle. 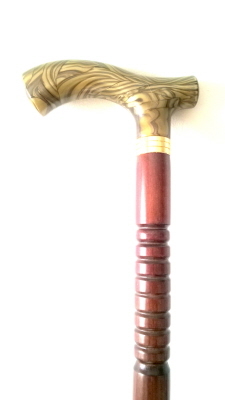 Mounted on turned hardwood shaft with mahogany stain finish. Gilt collar and base rubber ferrule.